Preheat oven to 350 degrees F. Lightly grease a 9X13-inch baking pan with nonstick cooking spray and set aside. In a large bowl, combine all the cake batter ingredients and mix well. Spread the batter evenly in the prepared pan. In a small bowl, stir together the butter, light brown sugar, flour and cinnamon for the swirl mixture. The butter should be soft enough to make a smooth (but not soupy) mixture. Drop the cinnamon/butter mixture by tablespoons over the cake batter. Make sure to get a few dollops close to the edges (otherwise the cake bakes up and squeezes all the cinnamon sugar mixture to the middle). Using a butter knife, swirl the cinnamon mixture into the cake batter, reaching all the way to the edges and pulling in to create swirls from edge to edge. 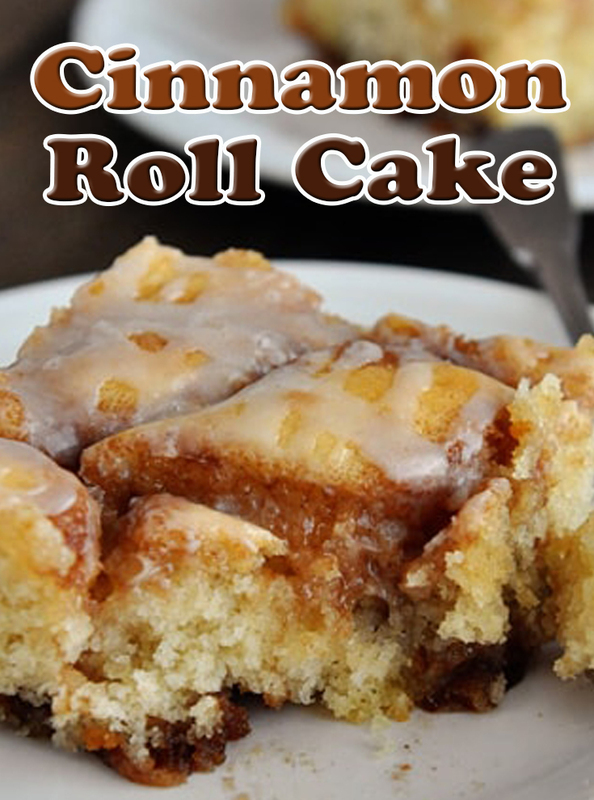 Don't overswirl - just enough to create generous loops of cinnamon and sugar throughout the cake batter. Bake the cake for 30-32 minutes until a toothpick inserted in the center comes out clean or with a few moist crumbs. For the glaze, whisk together the powdered sugar, milk and vanilla until smooth. Pour evenly over the cake while it is still warm within 5-10 minutes of removing from the oven. Serve the cake warm or at room temperature (it can be reheated slightly as individual servings in the microwave and tastes just lovely warmed up like that).